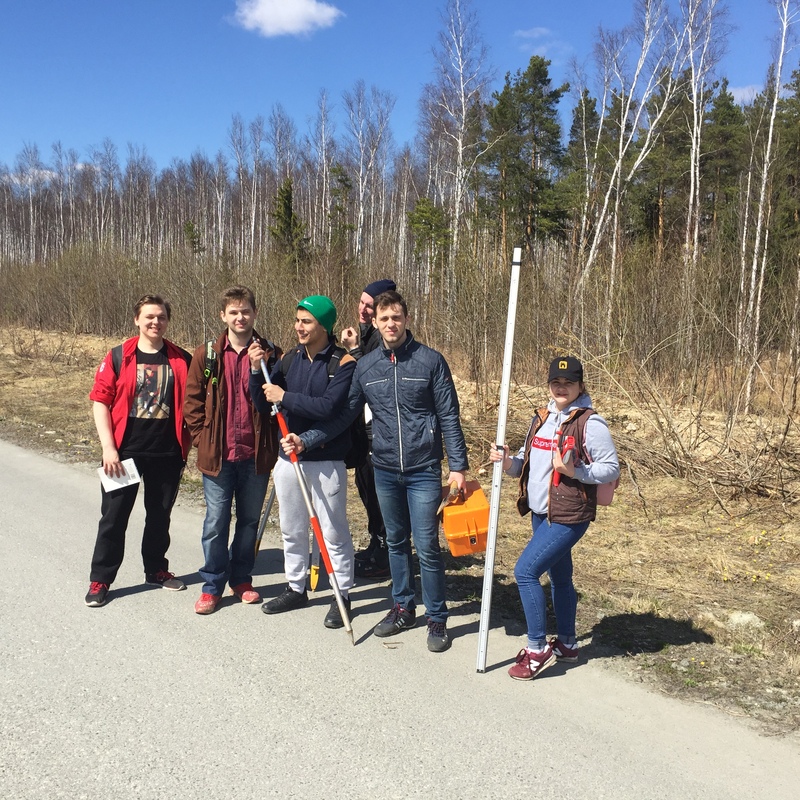 May 12, third-year students majoring in Land Management and Cadastres, with equipment and technical aids, went on an off-site lesson in "Engineering Arrangement of a Territory". The Department of Regional and Municipal Economics and Management annually provides students with an opportunity to prove their knowledge in practice. Students of group ZK-15 visited the Karaseozersk-2 construction site. 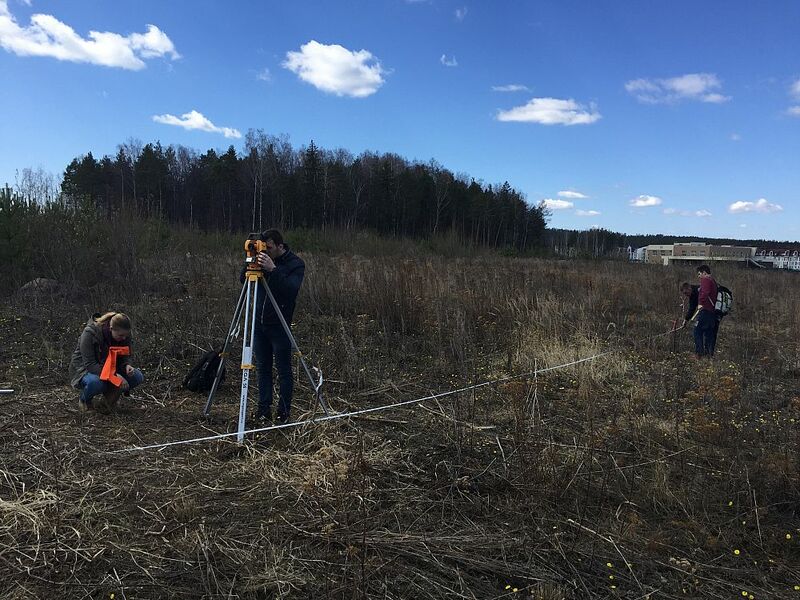 At the initiative of an Associate Professor of the Department of Regional and Municipal Economics and Management Alexei Pestryakov, students completed a set of jobs on the topic "Field surveys for designing linear structures". With the help of geodetic instruments (theodolites and batter levels), the students made three practical tasks and made some calculations. The student of ZK-15 group Kirill Verzakov shared his impressions of the trip: "We arrived at the place, got instructions, took instruments and went to the field. Most of the guys could hardly go into what was required, but when they started working, they immediately understood the tasks and successfully coped with them, - Kirill said. - Fortunately , the weather was good: it was warm and birds sang. By the way, we have not see any snakes. The assignments were carried out by two groups, which promotes the teamwork and brings up leadership skills. The trip was useful and exciting! Afterwards, Alexei Nikolaevich generously treated the hungry students with sweet biscuits and brisk tea. "